Vincenzo Nibali will soon be back in action at the Tour de San Juan. The Barhain-Merida captain will use the race to kick start his preparation for his big goal, the hundredth Giro d'Italia - an objective which is so important that he will skip the classics of the beginning of the season. "This year is not conventional," he tells Messina Sportiva. "The hundredth edition Giro is the most important moment of the season. Milan-San Remo maintains its classical course. It's pleasant but I do not think I'll be there. As for Liège-Bastogne-Liège, it is too close to the Giro and the Tour of Croatia takes place at the same time. I like Liege but if I don't ride it this year, it will not change the world." 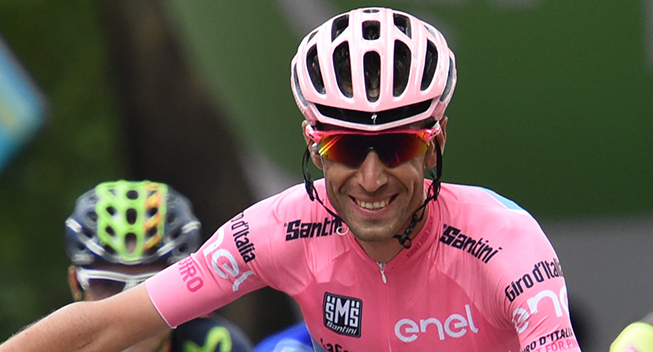 Hence, it seems that Vincenzo Nibali is ready to abandon all other major races ahead of the Giro d'Italia if they do not fit into his preparation.